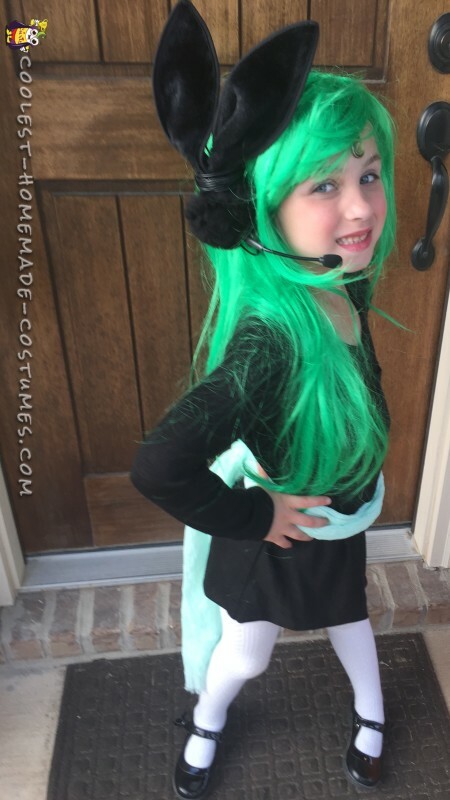 My daughter came to me with a cartoon picture Meloetta and said that she wanted to be THIS for Halloween. We bought a simple black dress from Target (which she could reuse) and pinned up one side to achieve the asymmetrical look. She wore white tights and black shoes. 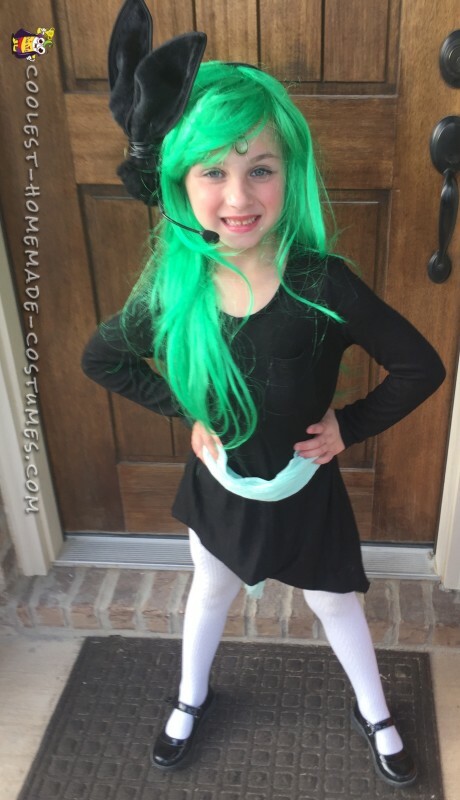 We bought a bright green wig on Amazon for the hair. We also bought a green sash and green pendant necklace from Target. I took the pendant off the necklace and attached it to an elastic string that would fit snugly around her forehead with most of it hidden under the wig. Finally, I bought a black fuzzy bunny ears headband and matching fuzzy tail. I also bought a microphone headset. I cut off the ears portion from the headband, used the cord from the headset to wrap the ears around the side of the headset and then tried to hide as much of this behind the fuzzy bunny tail to complete Meloetta’s headset look.